So, reading The Night Circus has gotten me wanting to run away with the circus. Unfortunately, the best I could offer as a contortionist would be the Wheel or Plough poses from yoga—although let it be known that I did fly through the air with the greatest of ease a few years ago, swingin’ (as all good monkeys ought to) upside down from a trapeze and doing a couple catches at a one-day Chicago trapeze school. Anyway, I’ve decided it’s probably safer for me to just sit indoors at a table, so I’ve started studying the tarot. 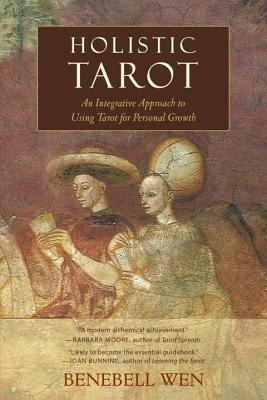 I’m not saying I’m convinced of the fortune-telling aspect of it, but my inner-Jung that believes in a universal consciousness is positively fascinated with the archetypes represented among the cards, as well as how tarot can be used simply as a means of personal meditation. It centers the mind on an aspect of life to reflect on, brainstorming proactive ways in which to drive one’s own future, to the extent one can. This is useful for a scatterbrain like me whose overly analytical mind will otherwise spiral in any number of directions at any given time. I swear, it’s like the hamster cage at the pet store with all my little thought-rodents sprinting (and going nowhere) inside their wheels. If we are to grow as human beings and not be content with revisiting the same plateau all our lives we need to make sure we are making good and conscious choices. These choices need to reflect where we are in our life today – our feelings, dreams, ambitions – and not our goals from yesterday or those unconsciously passed on to us from our parents. It is fine to drop once-held ambitions which are no longer relevant to us. This does not equate to a failure if we did not complete these goals but rather a success that we are able to be honest with ourselves and move forward in a more truthful way. Perhaps our dreams are now more ambitious as we realize we are stronger than we previously thought, or maybe they are less as we feel the need to slow down. Either way, the most important element to consider is the truth derived from sincere and honest contemplation of who we are now and what we need or want for ourselves at this time.